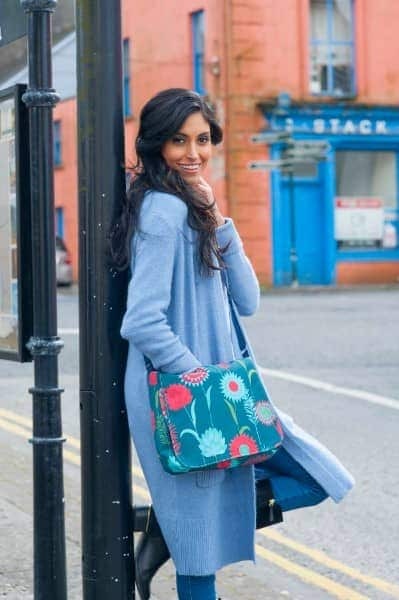 These messenger bags are one of the largest bags in my range, with similar dimensions to the Tara Bag, only these close with a magnetic snap closure on a flap front. They will happily accommodate a 13 inch laptop, tablet, notebooks, novel, guidebooks and anything else you may need on your travels or for work meetings. They are also perfect for use as baby bags, with plenty of room for bottles, clothes and spare nappies/diapers. On the back of the Large Messenger Bag is a slip pocket which also closes with a smaller magnetic snap, and is idea for papers and pens, especially when travelling.